Once the weekend hits, it is always nice to bake up some delectable treats to munch on. These muffins didn’t last too long in the fridge, they were gone by Sunday! 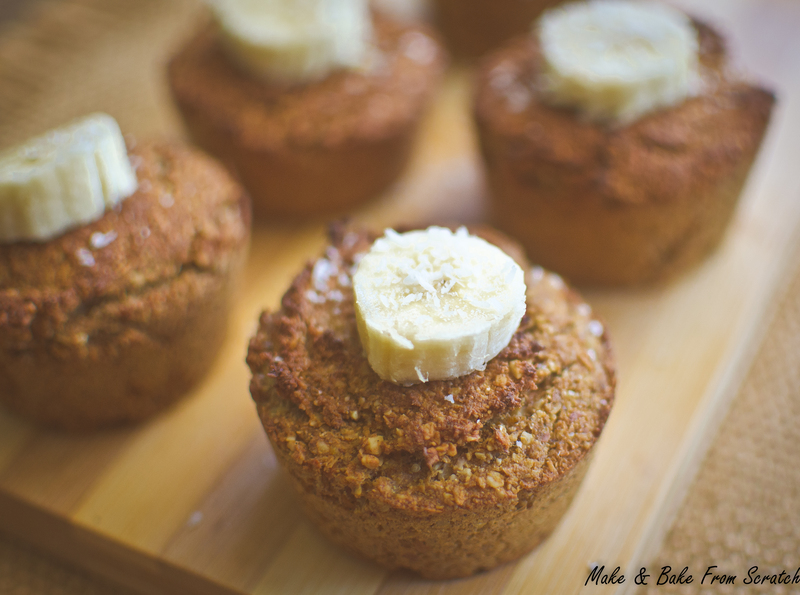 This recipe is gluten-free, grain free, low sugar content, good fibre source and best of all homemade. When baking with coconut flour, remember to add sufficient liquid to keep it moist. I used eggs in the recipe but for a vegan recipe omit eggs and use flaxseed meal or chia seeds. *you can add chopped walnuts, pecans, chia seeds or dates if it tickles your fancy. Preheat oven 180 degrees, bake for 30-35 minutes until golden brown. Grease muffin tray. Mix all dry ingredients in a bowl. Blend eggs, banana and coconut oil in a food processor or separate bowl and add to dry ingredients, stir and bind together. Gradually add the coconut milk or liquid until the consistency looks moist but not runny. Coconut flour can be very dry, so the liquid makes it moist. Scoop muffin mixture into the tray, half fill the cup. I made 10 muffins from this mixture. The tray I have only holds 6, so I did two rounds in the oven. Allow to bake from 30-35 until golden brown. Set aside allow to cool, if you can! I ate mine with slice banana and macadamia nut butter.